Whether you want to socialize, have fun exercising, build and train as a team or strengthen your techniques with one-on-one instruction, we offer individualized services for every age and skill level. And now, the KTC is open for affordable, year-long memberships to both Bella Vista POA Members and Non-Members alike. At the KTC, we strive to help you develop a true love for the game of tennis. With our comprehensive program and with the care and attention of our professionally trained staff, you’ll hone your skills and find a renewed passion for the game while making friends that will last a lifetime. 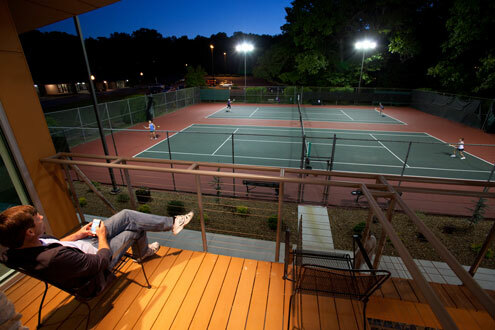 Whether you want to socialize, have fun exercising, build and train as a team or strengthen your techniques with one-on-one instruction, the Kingsdale Tennis Center offers individualized services for every age and skill level. KTC is open for affordable year-long annual plans to both Bella Vista POA Members and Non-Members. Conveniently located just off Highway 71 in Bella Vista, the Kingsdale Tennis Center is the perfect place for you to develop and build on your talent. For more information or to schedule a tour of the facilities, call Jake Shoemake at (479) 855-8174. 8 a.m. – 1:30 p.m.
3:30 p.m. – 8 p.m.
Our Annual Pass is now available to POA Members and Non-Members for a yearly fee and includes unlimited, free court time. 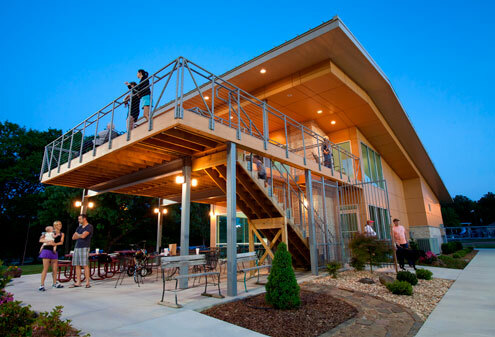 All pass holders have access to the same programs, staff and center amenities. The courts can be rented in two-hour increments, seven days in advance. Men’s Day – Organized doubles match play for all levels of play for Men. You can go anywhere to play tennis. 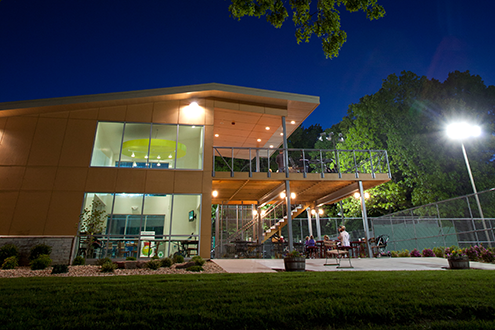 But once you’ve seen our complex and meet our staff, you’ll agree the Kingsdale Tennis Center is the best place for you to grow and improve as a player. Our new Manager of Tennis/Head Pro, Jake Shoemake has brought new programs, equipment and a professionally trained staff to our state-of-the-art clubhouse and facility. Courts are also available at Branchwood Rec Complex. 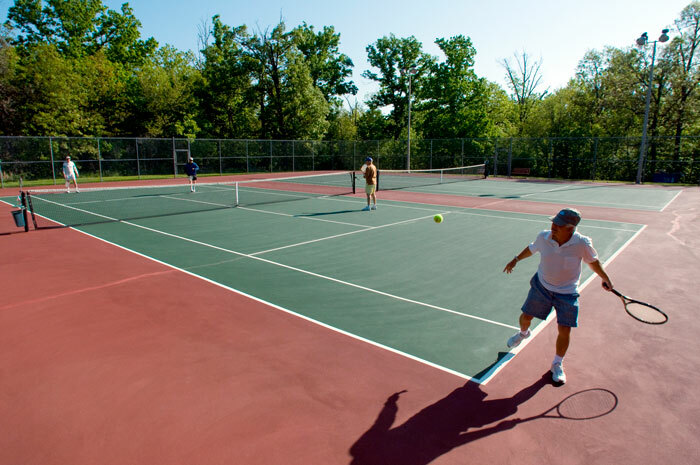 Two outdoor tennis courts (with pickleball court lines) are available first-come, first-served for drop-in play. Two indoor racquetball courts are available with a reservation.